We’re so glad you’re reading our tour blog, hope you enjoy it. We have been married over 20 years, are the proud parents of 4 kids, and we love adventure. 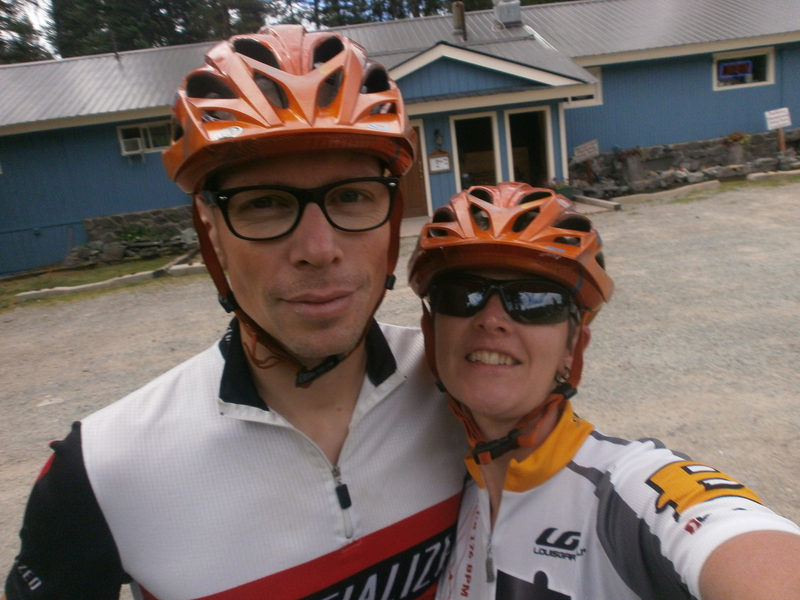 For our 15th anniversary we bought our first tandem bicycle and we look for places to explore. Currently we are just simple prairie folks from Winnipeg, Manitoba. For the techies, we’re riding a 2002 Trek 2000 and for this trip we’re pulling a prototype of the Croozer trailer with a Rubbermaid bolted on. Hi Rob, it’s the other Rob you met in Broadview Sk here. Looking forward to following your trip! I got a bounce back on your yahoo email address so here’s a link to my site. Have fun and ride safe! Thanks. Enjoy your ride to the west coast. The shoulder on hwy 3 to Lethbridge is pretty good. What a unique way to travel ‘together’ and to sense the world. The bike and trailer is certainly a very long rig. (If you went on a ferry, you’ll probably have to pay for over-length lol.). How many bike gears available, especially for the mountain hills and prairie tail winds? Hope that your anniversary getaway is a sweet time, growing closer with both the quantity and quality of time. The tandem has a triple chain at the front and 9 speeds at the back (so about 27). We sure used all the easy gears going up those mountains, but Christa doesn’t like to go too fast downhill – that’s when I give her a brake lever she can use (we put a drum brake on for the mountains).